Hitfinders is an Italian based recording project that was born in mid 2009 and consists of 3 producers: Andrea "Dj Frisk" Lazzero, Luca "5k0tt" Sbaragli and Andrea "Dj Vix" Vescini. 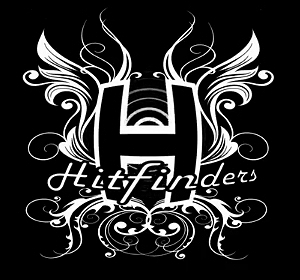 Hit Finders also perform in the clubs as DJ's (Frisk and Vix) and musician / performer (5k0tt). Tell us about your music, yourself? The experience of the 3 producers led to a search for sounds that cover different genres of music, with some singles similar to the classic American House, and others to the European genre, until finally settling on the Progressive House and Tech-House genres, with the intention of producing club singles which can be danced. In 2 years they have produced 7 singles and 6 compilations including one from Pioneer, one from the Pacha Club in Ibiza, and another from the Baia Imperiale of Gabicce. The releases were handled by labels like Melodica Records, the Australian Generation Records, Pulse Code Records, Supersonik Records & Bliss Co.
Their singles have been licensed in China, Germany and USA, and the tracks (originals, remixes, mash-up's e bootlegs) are supported by artists such as Erick Morillo, Fedde Le Grand, Avicii, ATFC, Ron Carroll, Marcus Knight, Outwork, Desaparecidos, Dave Seaman, Veerus & Maxie Devine, Hardsoul, Juan Diaz, Erick Decks, Ivan Pica, The Cube Guys, Tom De Neef, Cesàr del Rìo, Filthy Rehab, Ben Coda, Lucien Foort, Denis The Menace, Matthias Menck, Abyss, Ant Brooks. Notable tracks produced include "Wake Up", with the living legend of rap, Kurtis Blow, and "I Can't Get Enough" & "We Own Da Klubb" produced with the Australian hit-maker Marcus Knight. 5k0tt and I grew up together from the age of 18, becoming close friends. We met for the first time at the University, where we were studying, 10 years ago. I had just started working as a DJ in clubs and for a radio-station. He was already a good musician, and our routes became only one day by day. We started using a demo of FL Studio 3 in 2002, we noticed It while reading a producers forum, and were instantly hooked. So when the Hitfinders project started we decided to use mainly FL Studio, because we think it's simple and highly efficient for the music we produce. In particular, from the FL Studio 8 onwards we can claim that it's really at the service of producers. We never let people say that other sequencer are superior. We also use Cubase & Logic, but we love FL Studio, and prefer It to all other production platforms. We produce in our studio, using a mixing desk PC and a couple of laptops. We also use external hardware from E-MU, Edirol, Sapphire, KRK, Alesis. We remember some years ago we used external plugins, like filters, compressors, limiters, like Naive filters, T-Racks for mastering, and so on. We do use VSTs like Nexus & Sylenth, but all filters, reverbs, delays and even mastering tools are internal of FL Studio plugins. FL Studio provides all we need, and the upgrades seem to be anticipating each new need we have. We'd like to share our profile on thedjlist.com: http://thedjlist.com/djs/HITFINDERS/ that is the most complete space on web with our links.